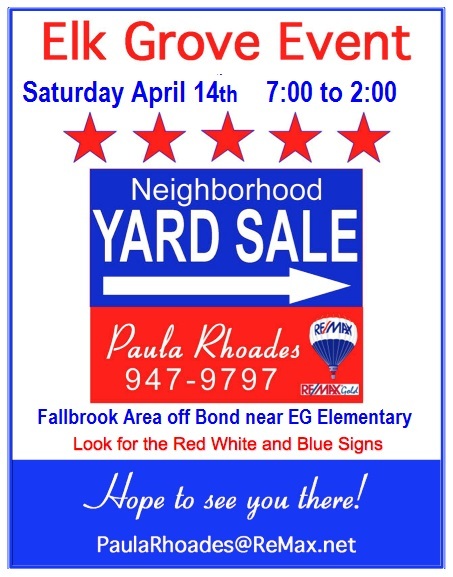 Every household in Fallbrook is invited to participate in the annual neighborhood yard sale by selling their own items at their own homes or asking to join in with a neighbor’s sale. Signs will be placed by the Association Board early Saturday morning on nearby main streets and directional signs within the neighborhood so all you have to do is get your sale items ready at your house. Be sure to send an email to PaulaRhoadesRocks@gmail.com with the highlights of what you plan to sell so we can include it in the advertising. Also, provide your street address so we know if your street needs a directional sign. Emails must be received by Noon on Friday April 28th. You can help with advertising by sharing the information that will be posted on the Fallbrook Neighborhood Association Facebook page and using your personal email and social networks to get the word out. 1. Advertising. Check the hard parts for this one very important item off of your list! It’s all being handled. We’ll have ads and signs galore. All you have to do is share from Facebook with your social and email networks. 2. Gather your goods. Prior to the sale start collecting your sale items in one place until it’s time to start pricing. Also gather bags for the buyers to carry off their purchases-plastic and paper grocery bags work great. If you have a lot of breakable items, save a stack of newspaper as well. a. To price or not to price…it’s up to you. Pricing items at least gives a starting point for buyers. Some people aren’t comfortable offering a price to a seller because they fear they might insult you or offer more than you might have in mind. You can also choose to speak out with a price as you see each item being viewed or handled by potential buyers. b. Be realistic about your prices. 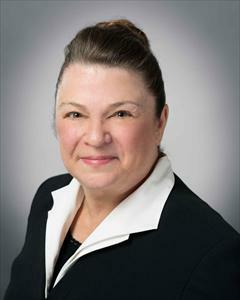 Most buyers are out for bargains. Most experts say price general items at about 10% of what they sell for when they’re new. Collectible or hot commodities are a different story. Try perusing the local thrift store or other yard sales to get an idea of pricing or even do a quick search on ebay of “completed” listings. c. Consider offering package deals to folks buying multiple items and drop your prices as the day moves on. Your goal is to end up with nothing to put away by the end of the sale. d. The dollar store or drug store will have pre-printed labels or use blue masking tape (it doesn’t leave sticky residue behind) and a permanent marker to make your own price tags. Just be careful not to ruin an item with adhesive from a label. Resist the urge to use duct tape—it leaves a mess when removed! e. Be prepared to face reality, but don’t let the few bad apples spoil the fun and success of the day as a whole. Plan on being insulted by lowballers, and having items disappear without being purchased. It’s just a sad reality that comes with the territory. But overall, you’ll feel good about the Spring cleaning and getting to meet some of your neighbors and some other nice people in the process. a. Get change from the bank—$1’s, $5’s, $10’s and quarters. You might even want to keep some $20’s in reserve in case someone shows up with a $100 or $50 bill. Remember that most ATM machines give out $20 bills so expect to see a lot of those. b. Guard your cashbox all day. Or better yet, use an apron or something with pockets and keep the money on your person. c. Purchase a specialized pen like the stores use for checking for counterfeit bills. d. Remove any accumulation of large bills from your cash-stash and place them in the house for safekeeping periodically throughout the sale. 5. Set up your sale. a. Set up a canopy or umbrella if you want to stay out of the sun. b. Arrange your sale with merchandising in mind. Use tables or other items to put the items in easy reach. If you have boxes that are the same size, like moving boxes, place them side-by-side and cover them with a tablecloth or a flat sheet and place items on top. c. Spread things out as much as possible so something doesn’t get overlooked. d. Use bins, totes or shallow boxes to corral items like small toys or kitchenware. e. Display books, CDs and DVDs with the spines or covers in one direction so they’re easy to read at a glance. f. Hang clothing if possible. Use portable racks or place something like a closet rod between two ladders. g. Keep jewelry and other small costly items close to the house and have one dedicated helper watching over them at all times. Or just plan on selling those items on eBay. b. If you allow people to place an item on hold for pick up at a later time, make sure they pay you the whole amount up front and provide them with a receipt. It is suggested that you set a deadline for the item to be picked up and let them know the item will be donated to a local charity if they fail to pick it up. Or make your own arrangements but keep in mind that some people will take advantage of your good will and leave you with storing things that you didn’t want to keep any longer. · Check what they’re selling before it heads out the door in case there’s something you don’t want them to sell. · Offer them payment of cash or a reward of a special family outing or purchase of something special with the proceeds of the sale. · Encourage them to be entrepreneurial—sell bottled water, plants, cookies etc. My wise mother taught me to always stop and buy something from kids who set up a little stand because they should be rewarded for their efforts. Over the years I have bought overdone cookies, watery lemonade, wilting plants and more—but all for the sake of the kids. If they’re particularly helpful or nice then they also get a tip or get to keep the change. I believe in positive reinforcement!